Warringah house is located in the Mosman neighborhood of Sydney, Australia and designed by Corben Architects, this luxurious modern house has two storey floor. Concrete were used as the floors and roof main material to maximize thermal mass and thermal comfort. 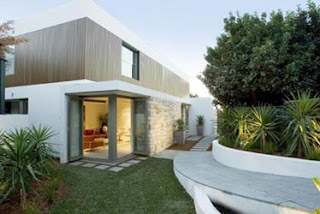 Warringah house used timber and sandstone for the interior spaces. Outside view of a stunning patio with swimming pool and surrounding landscape were exposed from almost every part of the house because of the excessive usage of glass. The operable skylight over the central core allows natural light and ventilation. 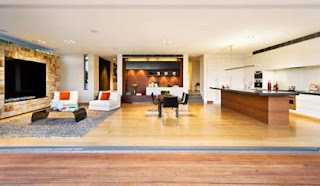 Warringah is a stunning contemporary house with great view, warm interior and great lighting.